Everyone has a sweet tooth moment every now and then, so when in Barcelona, why not check out what is trending through the town? Delectably delicious cupcakes have become the new must have accompaniment when sitting down for a leisurely cup of coffee, so try one of our top 5 favorite hangouts for the best treats in the city, and find out where to enjoy some of the best cupcakes in Barcelona. This cute cake shop can easily be missed, but if you savvy of this place, you’ll never just walk past. The treats in the window pull our palates in, and never disappoint! If all you need is a small, sweet treat, then this lower-level café is just for you. 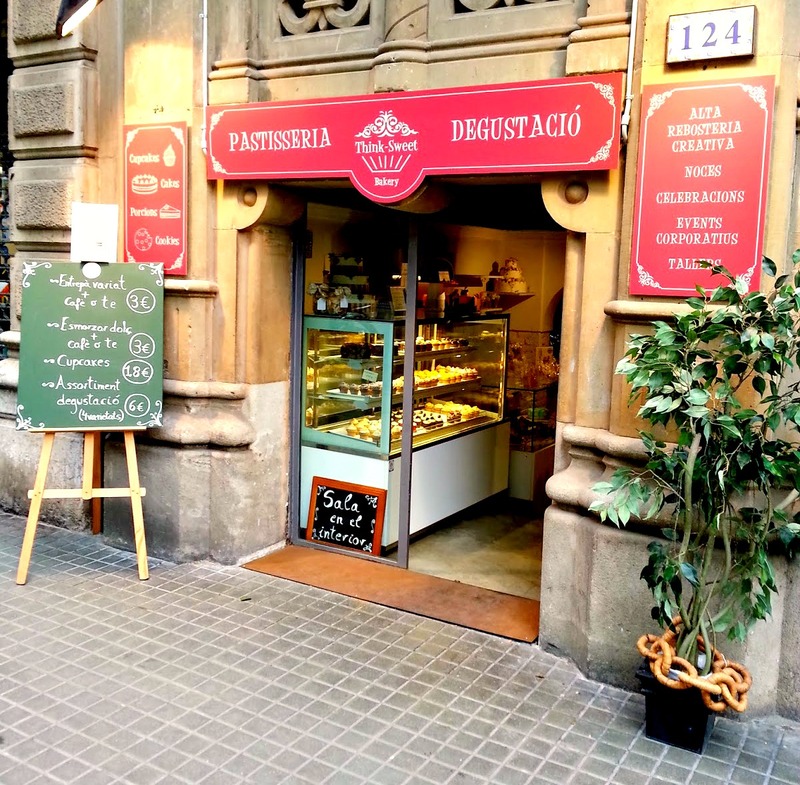 This is a great place to stop for a Barcelona cupcake time out between shopping and sightseeing, and is located just around the corner from the top of Passeig de Gràcia. Cup & Cake is one of the most popular places to get cupcakes in Barcelona, and the crowd upon entering can validate this fact. Don’t get frazzled, though, it’s worth the wait! 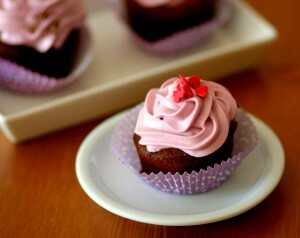 The cupcakes presented here are equipped with tempting, creative designs. Vibrant colors atop these perfectly spongy cakes with the smoothest icing out there, and are sure to reel you in to try one of these treats. 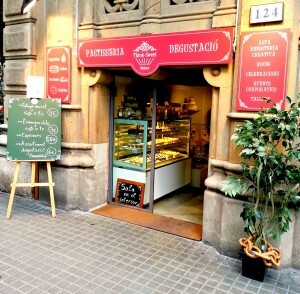 In the heart of L’Eixample, Daniela Bakery is sure to offer something you’ll enjoy. With low prices, vegan options, and a great variety of sweet selections, you cannot go wrong here. This is a great place to do some reading or studying, as they have free Wi-Fi, or just bring your friends for an afternoon treat! With the inspiration driven from family recipes, these cakes are less standard, and more traditionally home-made. 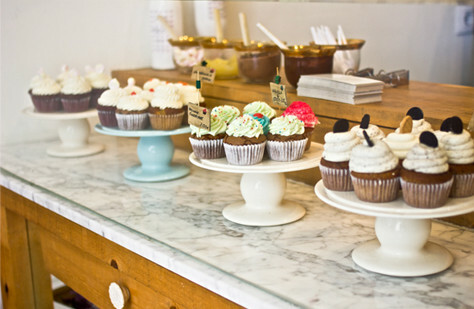 Prepare to get your fingers dirty, and lips sticky at Zuckerhaus, because the cupcakes here are certainly an experience! This quirky shop is tucked away in Poble Sec, and is one of the quirkiest cake hangouts in Barcelona. Arguably one of the best cupcake joints in Gràcia, this cute little shop offers plenty of sweet options, ranging from cupcakes in more than 40 flavors to brownies and pies. Made with natural ingredients, these treats are certainly tasty. Plus, there’s plenty of choice for those lactose-intolerant cake-lovers out there. 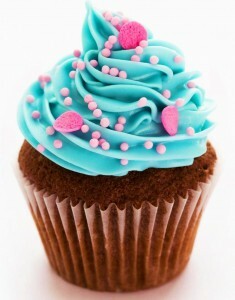 Know of any other top cupcake spots in Barcelona? Leave us a comment below! This entry was posted in Home, Restaurants & Food and tagged Barcelona cafés, Barcelona culture, Barcelona cupcakes, Barcelona food, barcelona food and drink, Cafés in Barcelona, cupcakes in Barcelona, things to do in barcelona, visiting barcelona. Bookmark the permalink.